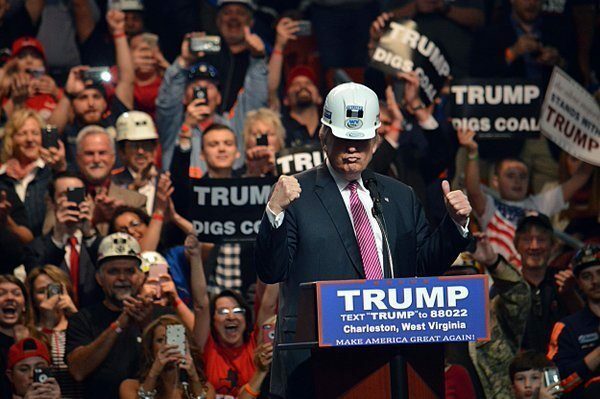 Coal miners endorsed Donald Trump in West Virginia after Hillary Clinton promised to get rid of their jobs. 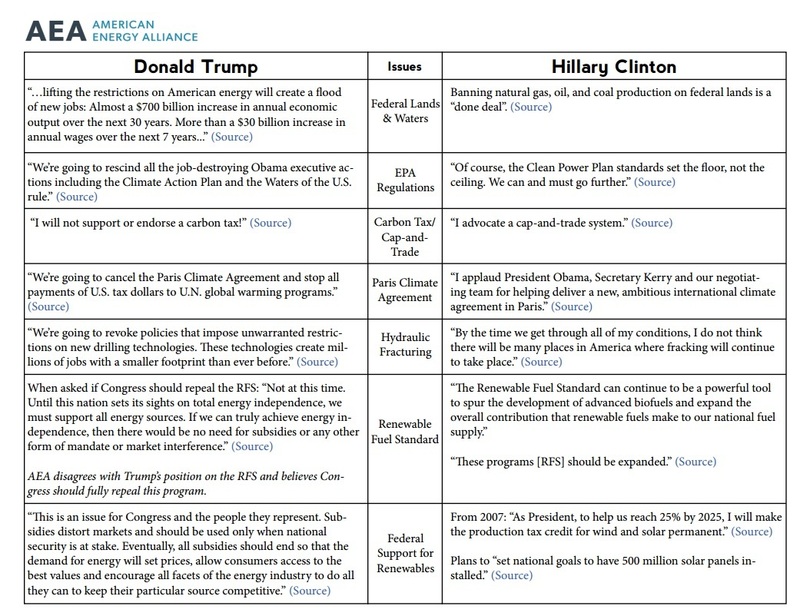 The American Energy Alliance endorsed Republican Donald Trump today over Hillary Clinton. The U.S. is at a crossroads when it comes to our federal energy policy. Over the last eight years President Obama has subjected the American people to policies that fundamentally transform our energy economy into just another politicized arm of Washington. President Obama has rewarded his contributors with government mandates and taxpayer subsidies, rather than allowing Americans to choose what works for them. The outcome of this election will determine whether we continue this destructive agenda or take a more free-market approach that will result in affordable, reliable energy for every American. “The contrast between the two candidates’ energy platforms could not be greater. Donald Trump’s message is one of optimism, prosperity, and abundance where the needs of consumers and workers are put first. Hillary Clinton’s message is one of political favors and cronyism that puts the agenda of her favored special interests above all else. “Donald Trump has put forth a plan that would move our country forward by opening up more federal lands and waters for energy exploration of all kinds, utilizing cutting-edge technologies to tap into our vast resources, unwinding the Obama administration’s harmful regulations, and subjecting the Paris Agreement to the scrutiny it deserves. These policies will usher in an era of prosperity that will strengthen our economy, put more money in the pockets of American families, and lift many struggling Americans out of poverty. It will make America more secure and more Americans better off. “Hillary Clinton offers the American people a plan that would move our country backwards—hurting all American families, but especially the poorest among us. At the bidding of special interest groups, Secretary Clinton has promised to ban production of natural gas, coal, and oil on federal lands, discourage the use of innovative technologies, and vigorously implement the Obama administration’s destructive regulations and the Paris Agreement that extends U.N. control over American citizens. “Donald Trump and Hillary Clinton offer two very distinct paths for the future of our country. Where Donald Trump promises prosperity and growth, Hillary Clinton promises a third term of President Obama’s regressive climate agenda.